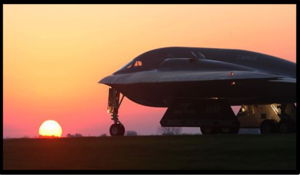 Is Fait Accompli the Primary Challenge for Deterrence in the 21st Century? SMA hosted a speaker session presented by Dr. Daniel Altman (Georgia State University) as a part of its SMA STRATCOM Academic Alliance Speaker Series. During this presentation, Dr. Altman argued that the term “fait accompli” deserves more attention and should be used more frequently in discussions regarding deterrence. He began by explaining the three ways in which challengers get what they want: through brute force, coercion, or fait accompli. He provided examples of each of these tactics and defined fait accompli. 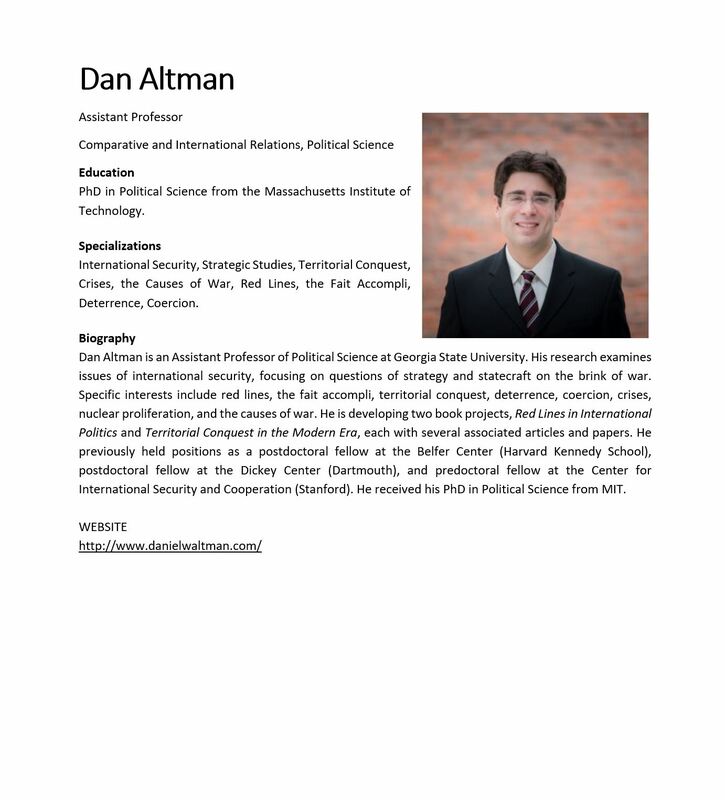 Next, Dr. Altman discussed how fait accompli is actually a far more common tactic than both brute force and coercion and provided statistics displaying how frequently each tactic has been used over the past 100 years. He also explained that when nations engage in fait accompli, they usually seize either very small (i.e., one or fewer provinces) or very large (i.e., an entire region or nation) territories. He then spoke about Chinese land reclamation in the Spratly Islands, as well as the implications of these land disputes. 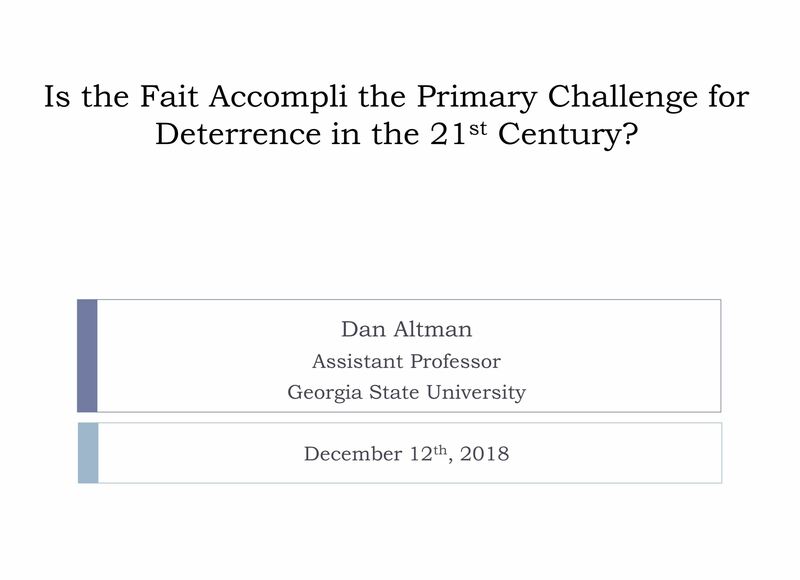 To conclude his presentation, Dr. Altman stated that the fait accompli is quite possibly the primary challenge for 21st century deterrence and provided several recommendations for policymakers’ consideration.